One of the biggest advantages of community colleges over four-year universities is cost. The Alamo Colleges offer a comparable education for pennies on the dollar compared to major universities, and although this point was being acknowledged, it wasn’t an integral part of their awareness and recruitment campaigns. 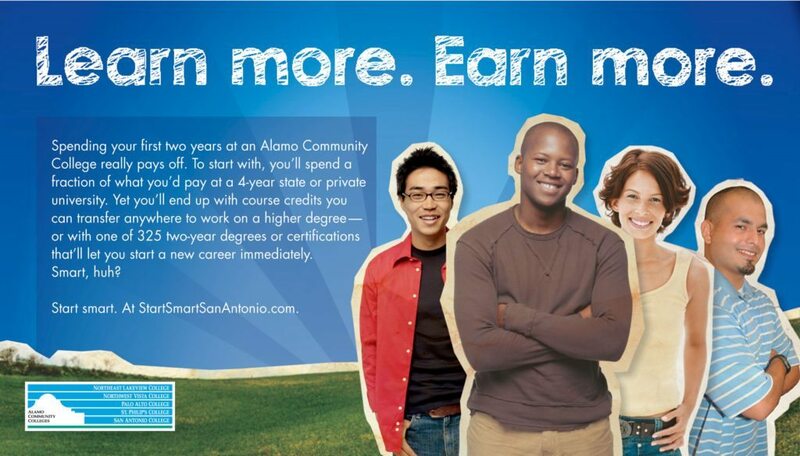 Highlight Alamo Colleges’ cost saving benefits. The timing couldn’t be better, since two things happened in 2008: AMG was awarded the Alamo Colleges account, and the recession hit. 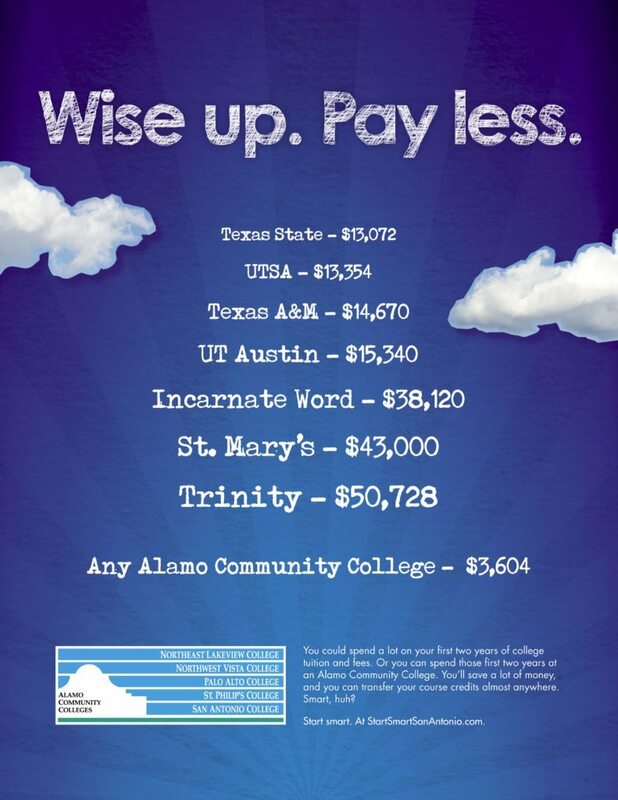 We used a variety of print, TV, and digital ads in a campaign comparing costs at local, state, and private universities to the Alamo Colleges. It was also important for us to highlight the fact that (an associate degree and) class credits from the Alamo Colleges would transfer to most four-year institutions in the state. After the initial phase of the campaign in the fall of 2008, Alamo Colleges experienced a record enrollment growth rate increase of 3.5%, exceeding expectations by 1.5%. We refreshed the campaign and ran it again in 2009, and Alamo Colleges experienced another year of record enrollment growth – this time 5% over the previous year.